The CDC maintains there is “no relationship between Thimerosal-containing vaccines and autism rates in children,” even though the data from the CDC’s own Vaccine Safety Datalink (VSD) database shows a very high risk. There are a number of public records to back this up, including this Congressional Record from May 1, 2003. The CDC’s refusal to acknowledge thimerosal’s risks is exemplified by a leaked statement from Dr. Marie McCormick, chair of the CDC/NIH-sponsored Immunization Safety Review at IOM. Regarding vaccination, she said in 2001, “…we are not ever going to come down that it [autism] is a true side effect…” Also of note, the former director of the CDC, which purchases $4 billion worth of vaccines annually, is now president of Merck’s vaccine division. True medicine cries out against vaccines and all the harm they are doing to children and people around the globe, but we have medical authorities claiming them to offer deliverance when in reality they offer little of anything but further toxic attacks on the body and immune system. Medical truth is obviously against deliberately poisoning people, but don’t tell that to anyone at the FDA whose staff falls all over itself to promote the most dangerous drugs ever known to mankind. Vaccines are loaded with crude materials that will never make anyone well. Poisons usually have the habit of poisoning people and the amount of mercury in the influenza vaccine is dangerous no matter what these un-trustable medical officials say. 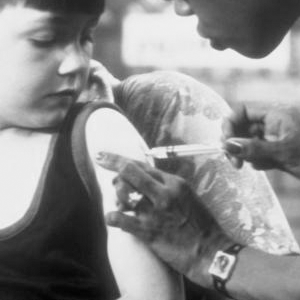 Mercury is much more toxic than lead but there is not a doctor in the world stupid or crazy enough to inject lead into children’s veins, yet there are plenty who will gladly with a smile inject mercury. In this crazy world of ours, medicine has turned against the people’s wellbeing, meaning they have committed high treason against the sacred medical oath to do no harm to their patients. A flu vaccine with mercury-based thimerosal used as a preservative is an insult to the public’s intelligence but unfortunately that intelligence has been buried under a thick wall of medical lies and propaganda meant to sell vaccines. “Chronic mercury exposure is also a threat to our health and makes us especially vulnerable to flu infections. It has been shown that “prolonged exposure of mammals (white mice) to low mercury concentrations (0.008-0.02mg/m3) leads to a significant increase in the susceptibility of mice to pathological influenza virus strains. This is shown by a more severe course of infection. In the experimental group more mice died (86-90.3%) than in the unexposed animals (60.2-68%), additionally the experimental group died more quickly. Any competent biochemist would look at the structure of thimerosal and identify it as a potent enzyme inhibitor. Doctors like to educate parents about what influenza is and to emphasize that influenza is different from having a cold. They think that it is really important for parents to understand when we are in flu season that, if their child is exhibiting signs of an influenza-like illness, they need to seek care from their pediatric provider and begin antiviral drug treatment if indicated. 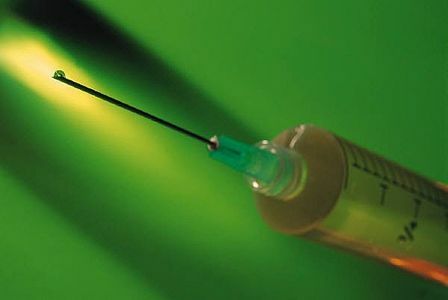 The American Academy of Pediatrics and a World Health Organization committee agreed that thimerosal, a vaccine preservative that contains mercury, should not be banned by the United Nations, even though it has been frowned upon in the United States. Rewind to 1999, however, and you would find the AAP asking for thimerosal’s removal from vaccines in the United States, due to the danger of youths being injected with too much mercury. And there was less evidence then as there is now that these vaccines could contribute to the development of autism and other neurodevelopmental problems. In a curious turn of events, however, the AAP agreed this month with the WHO commission when it advocated the use of thimerosal in vaccines to treat children around the world. A 2004 safety review by the US Institute of Medicine would come to the same conclusion, as does a 2010 assessment by the Centers for Disease Control and Prevention. Thimerosal, however, is approximately 50 percent mercury. For every child and every dose, 62.5 ug of mercury comes with a vaccination against hepatitis B or MMR. According to the Federal Environmental Protection Guidelines, that’s 100 times the “safe” dose. Bichel, Post-vaccinial Lymphadenitis Developing into Hodgkin’s Disease, Acta Med Scand, 1976, Vol 199, p523-525. Glathe, H et al, Evidence of Tumorigenic Activity of Candidate Cell Substrate in Vaccine Production by the Use of Anti-Lymphocyte Serum, Development Biol Std, 1977, 34:145-148. These are, admittedly, older studies. While many have been conducted since, a highly profitable industry has also been built around vaccines, rendering many studies heavily biased and unreliable. What’s more, thimerosal isn’t the only harmful additive. Formaldehyde, a known human carcinogen, is another “preservative” found in vaccines. The AAP argues, however, that while thimerosal should remain sparse in American children, those abroad without access to vaccines should not get the same treatment. If we are to take AAP and the WHO committee’s endorsements at face value, their intentions seem good. Children in impoverished regions of the world are sickened with avoidable diseases, and they argue that vaccines might prevent the illness. Because researchers suggest that it would cost up to five times as much for developing areas to produce vaccines without thimerosal as it would developed areas, shipping mercury-laden vaccines to developing areas seems like a humanitarian effort. We get that, but it doesn’t make the move clean. 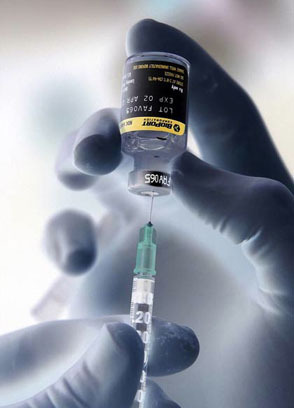 The effectiveness—never mind the side effects—of vaccines remain hotly debated. Instead of making money off of vaccines, the WHO and UN might think on the physical and fiscal benefits people in impoverished areas might meet with a healthy diet of locally grown organic produce (instead of, say, GMOs courtesy of Bill Gates). Besides, the producers of vaccines like GlaxoSmithKline over at Big Pharma are not our friends, as evidenced in what qualifies as nothing short of the murder of 14 infants in experimental trials of their products. Everyone should agree, for one reason or another, that more research deserves to be conducted by independent bodies on not only vaccinations and alternative additives, but also in disease prevention on a daily scale, such as through a healthy diet and sanitation efforts. If not, at the end of the day, we know who comes out the loser in this misguided crusade, and who gets to take home the bags of money.